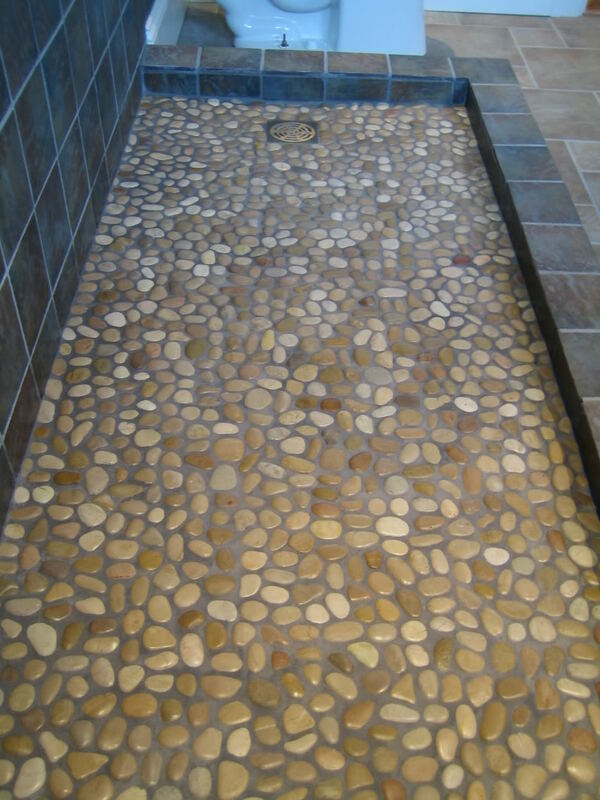 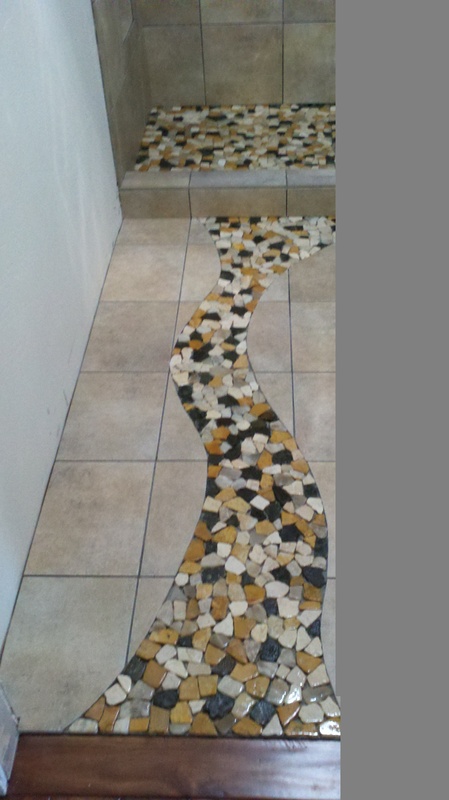 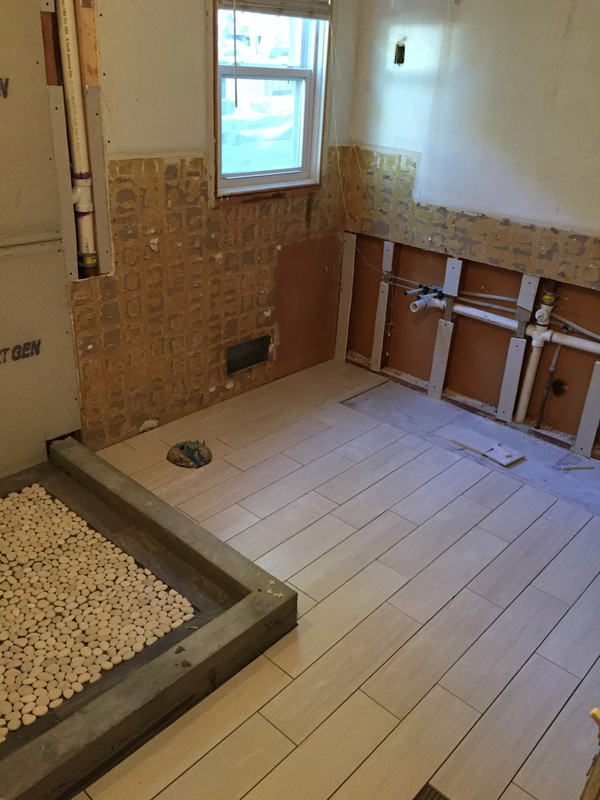 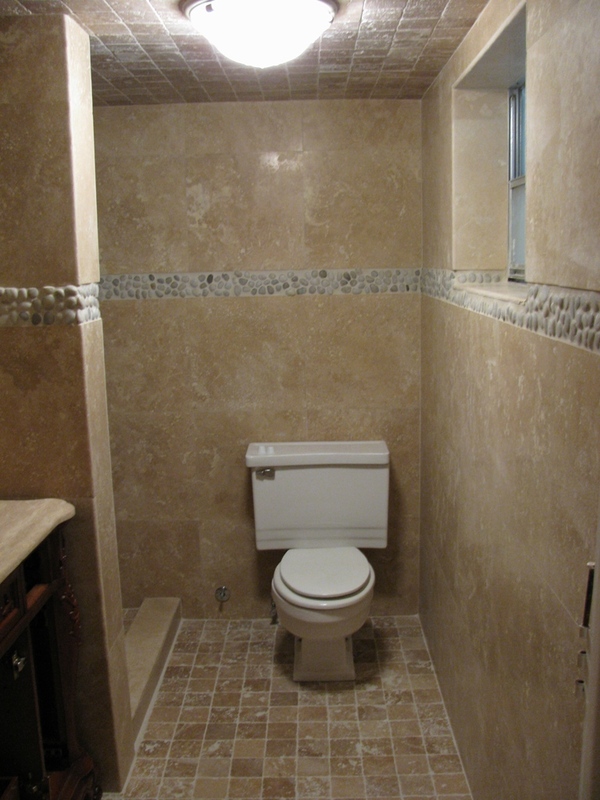 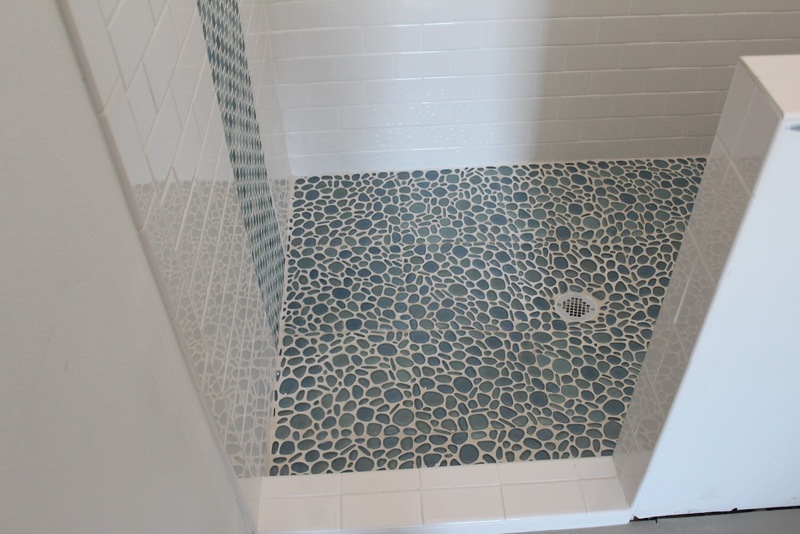 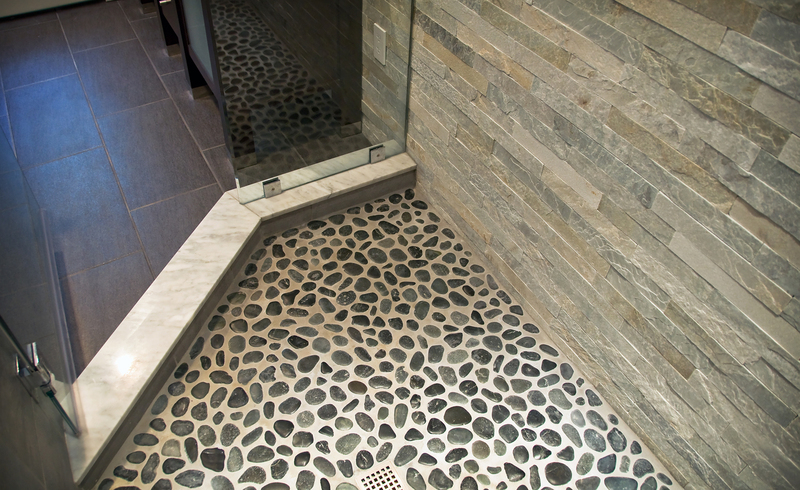 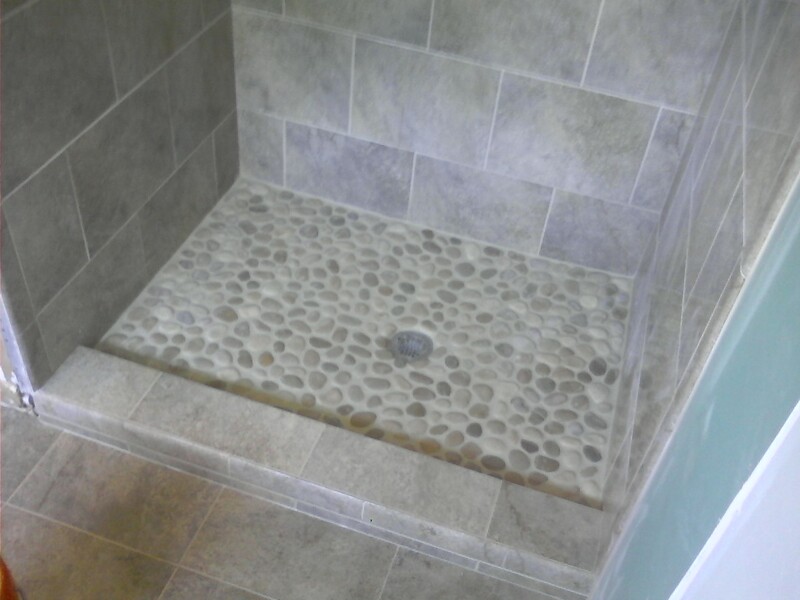 When was the last time you heard about using river rock tiles for the bathroom? 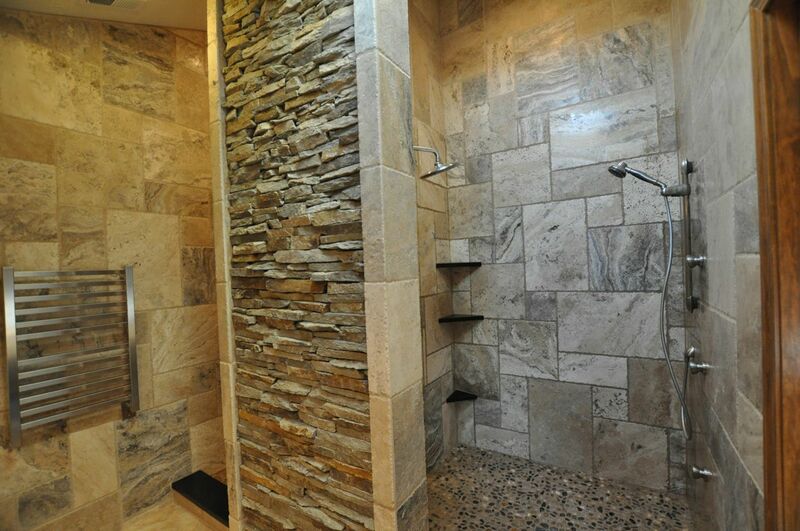 Unfortunately, even today not so many people are aware of such amazing ideas for the unique bathroom design. 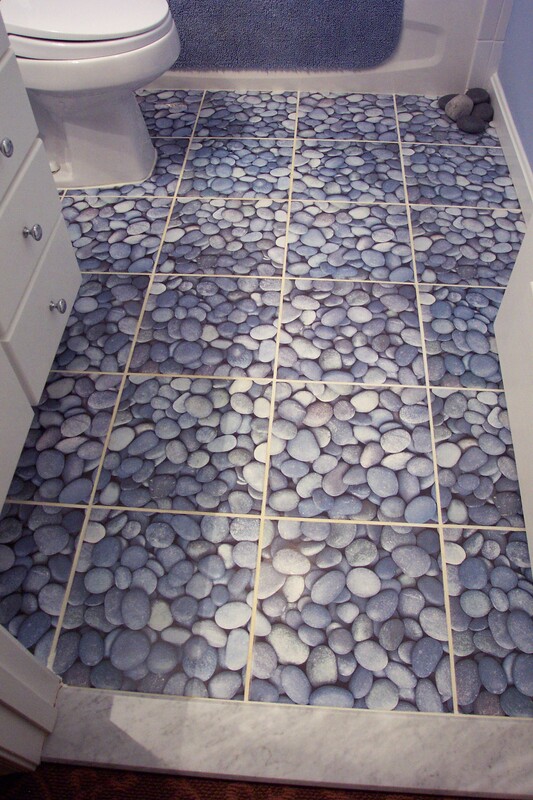 There are not so many pictures and photos of such bathroom tiles but still if you do some research in the virtual space then you will find indeed stunning pictures! 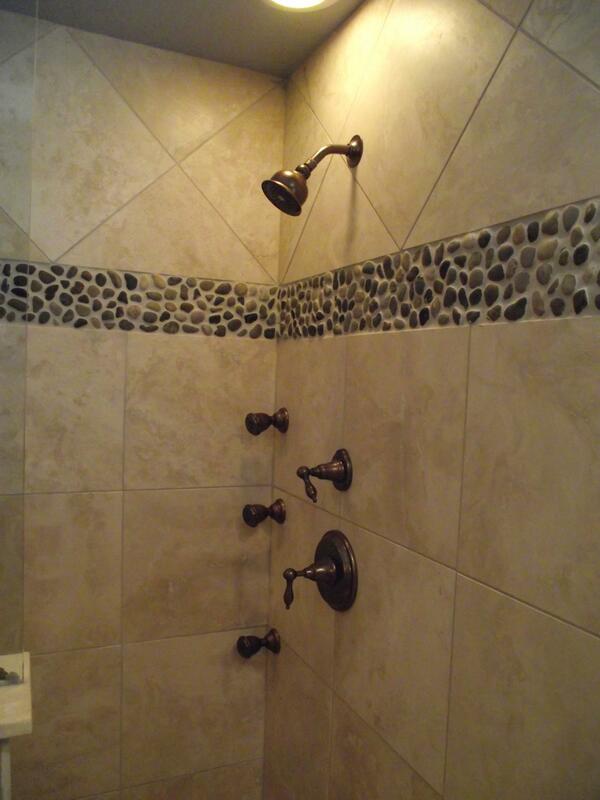 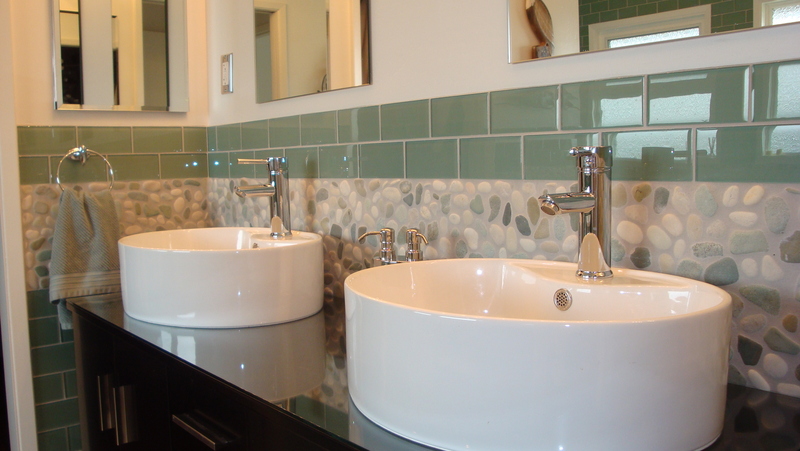 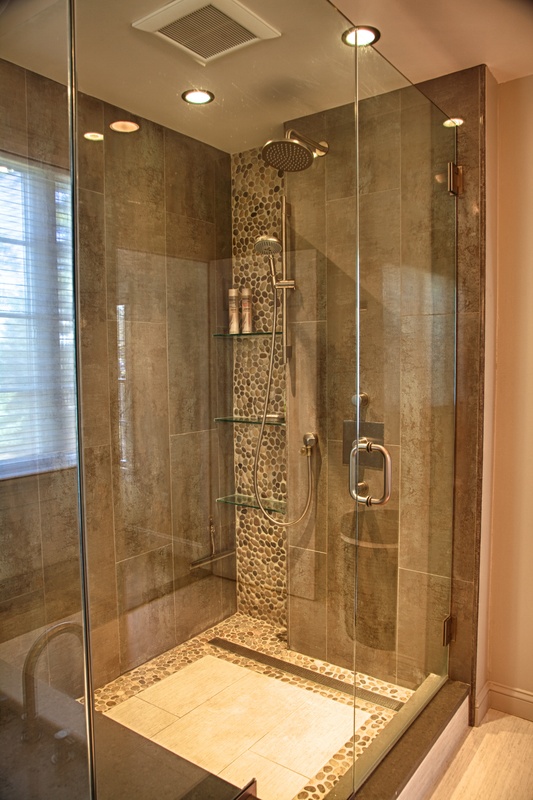 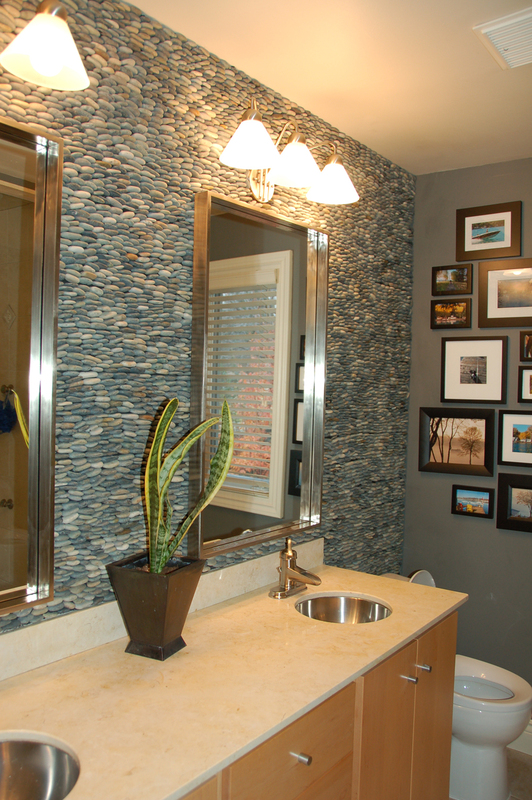 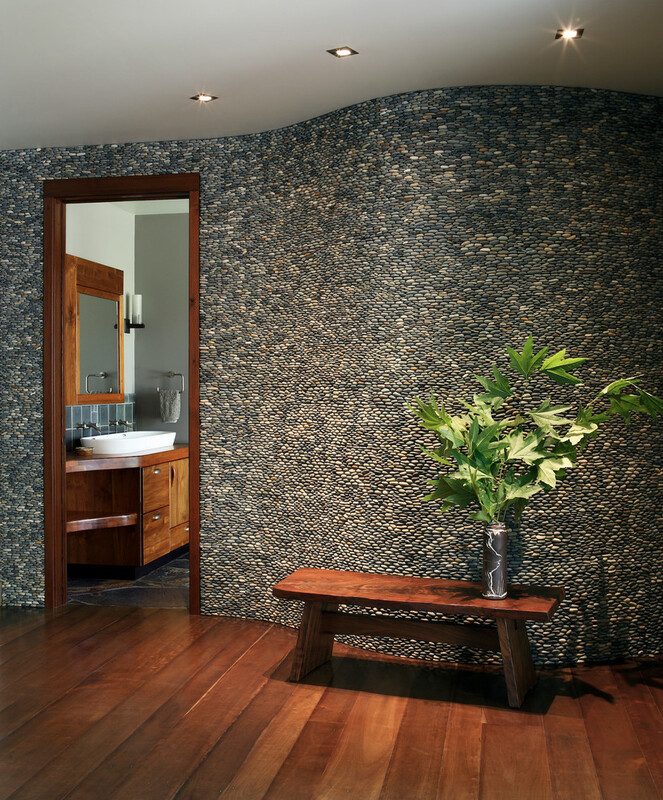 Many people may thing using river rocks will make your bathroom look rustic. 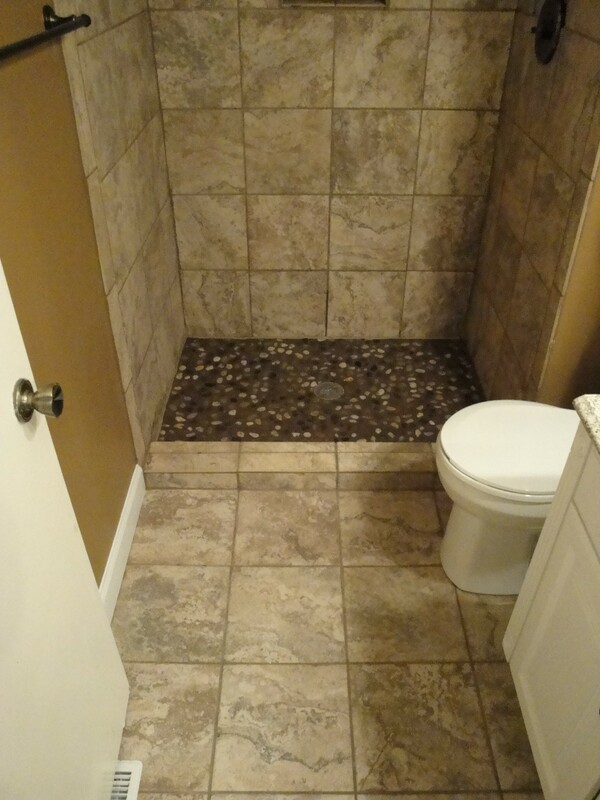 Not at all! 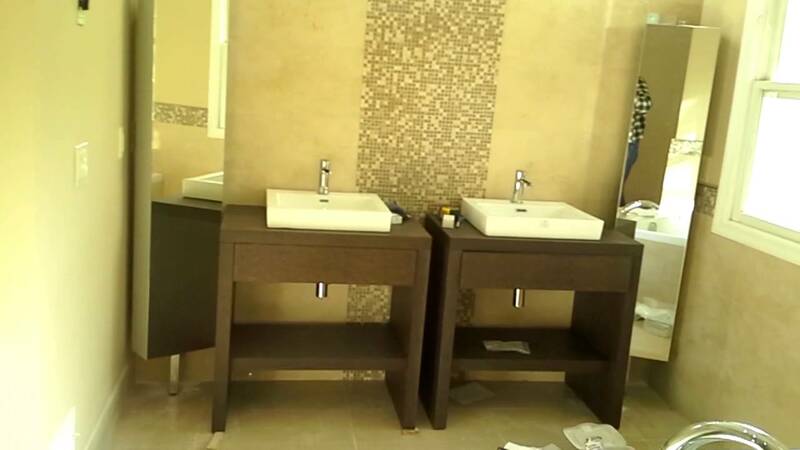 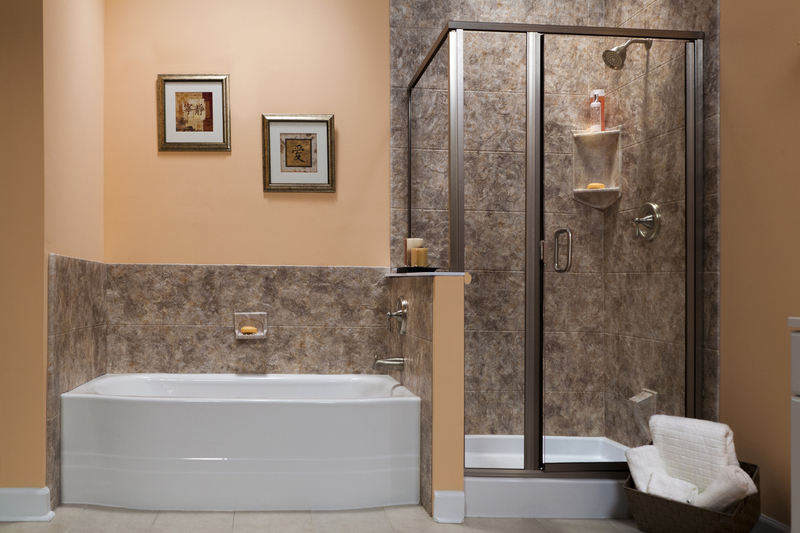 It will make the bathroom looks new, fresh and magnificent. 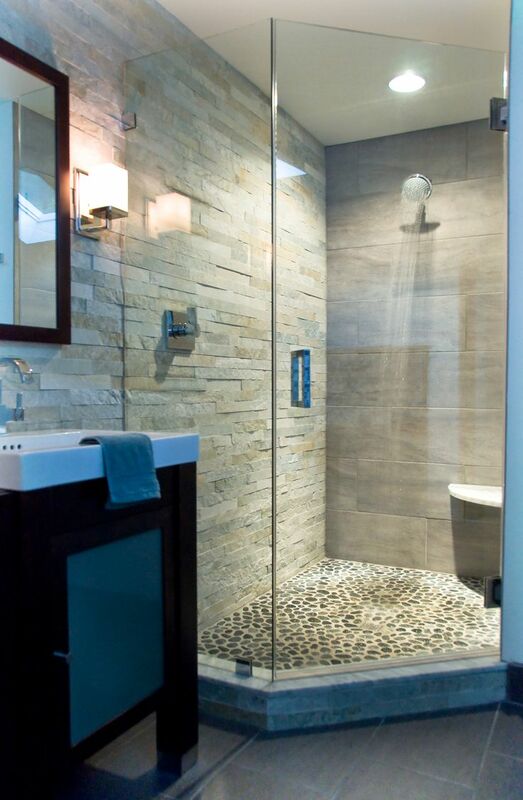 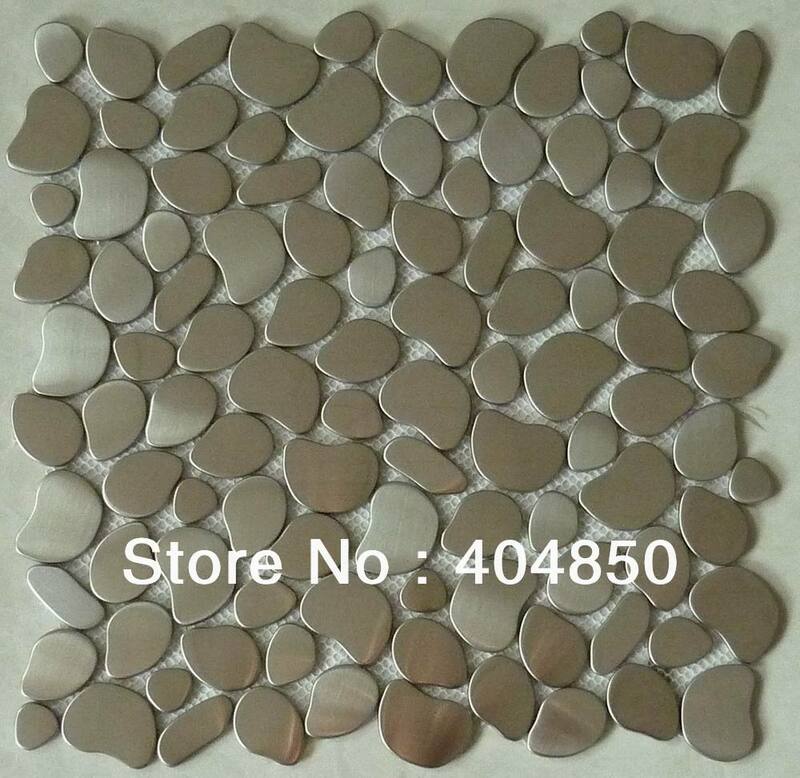 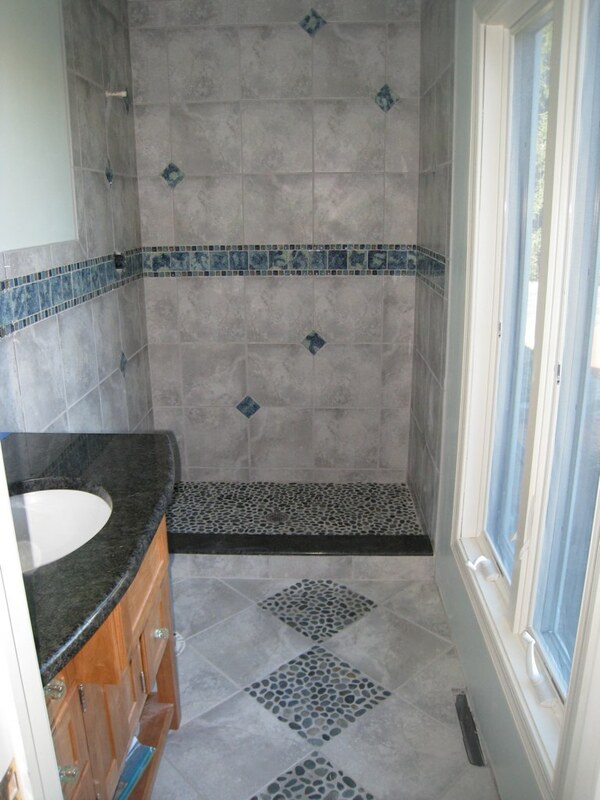 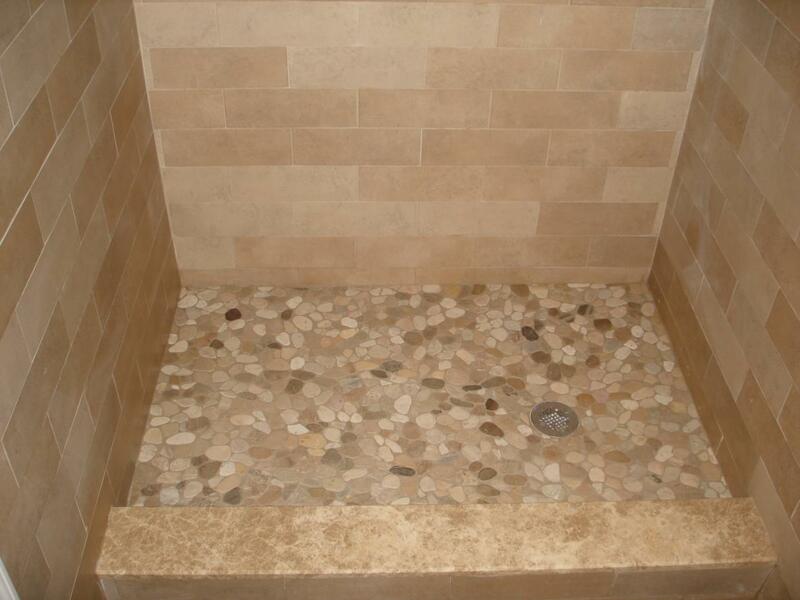 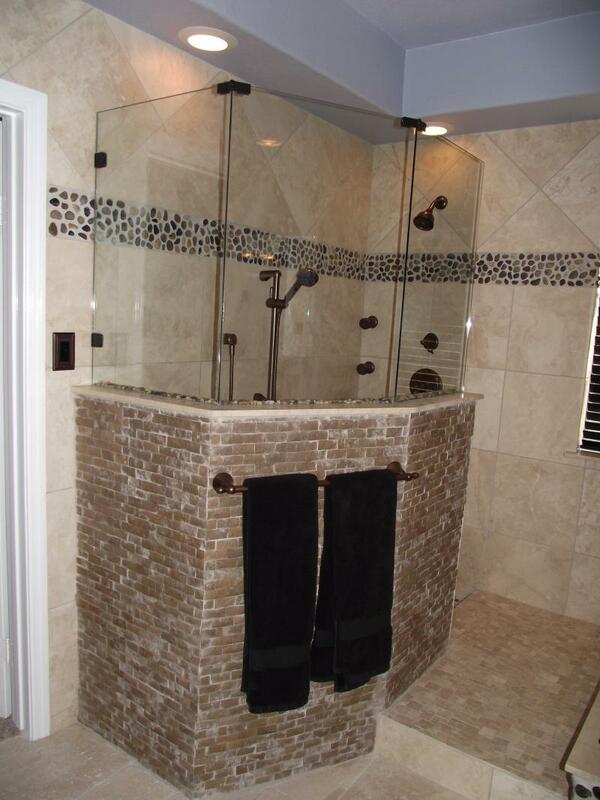 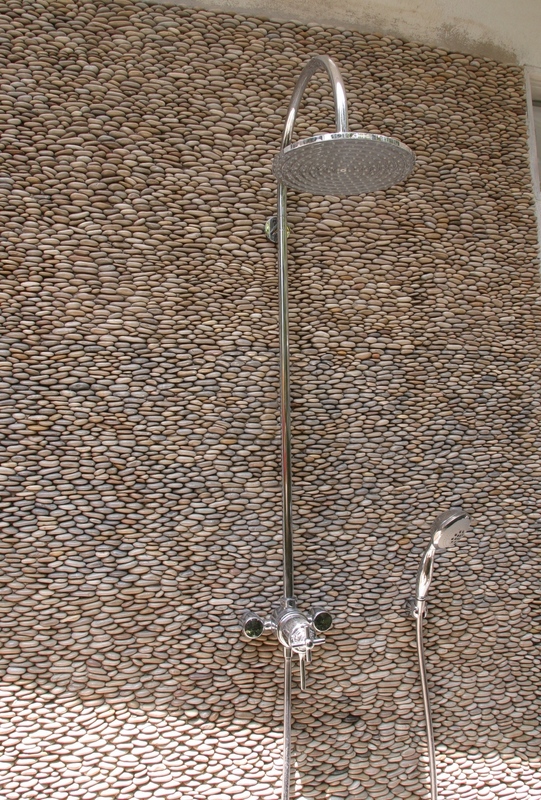 the river rock tiles can be used in various parts of the bathroom or shower. 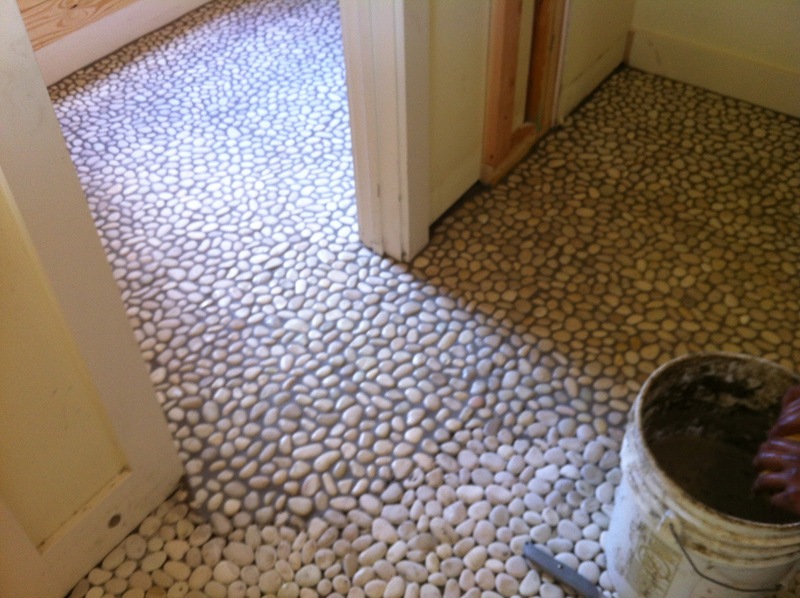 you may lay them for the whole wall or the floors, or may just make framing or like a curvature path. 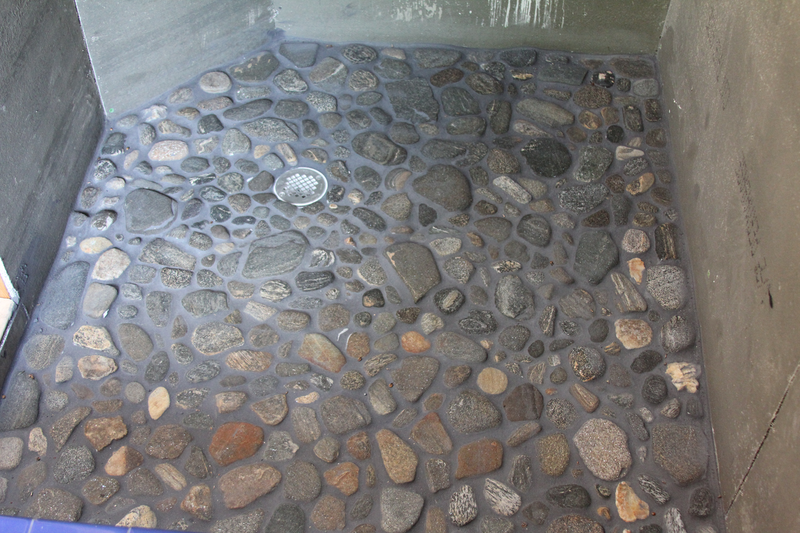 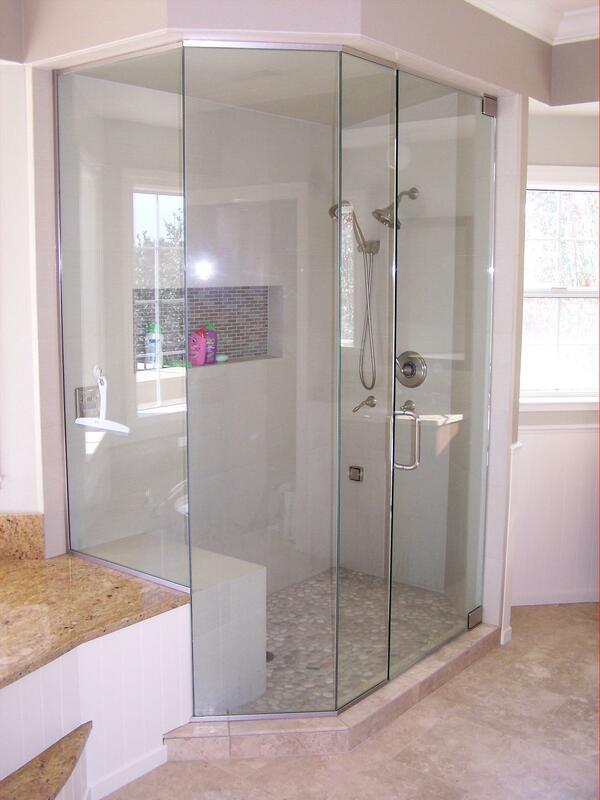 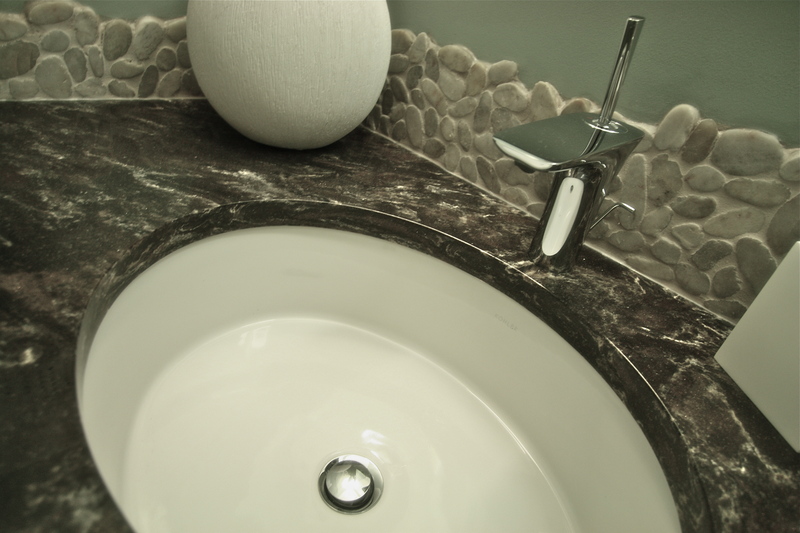 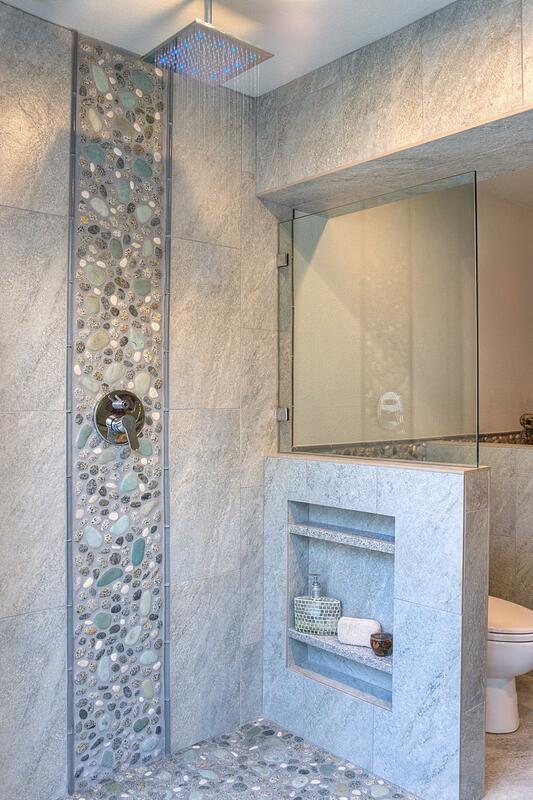 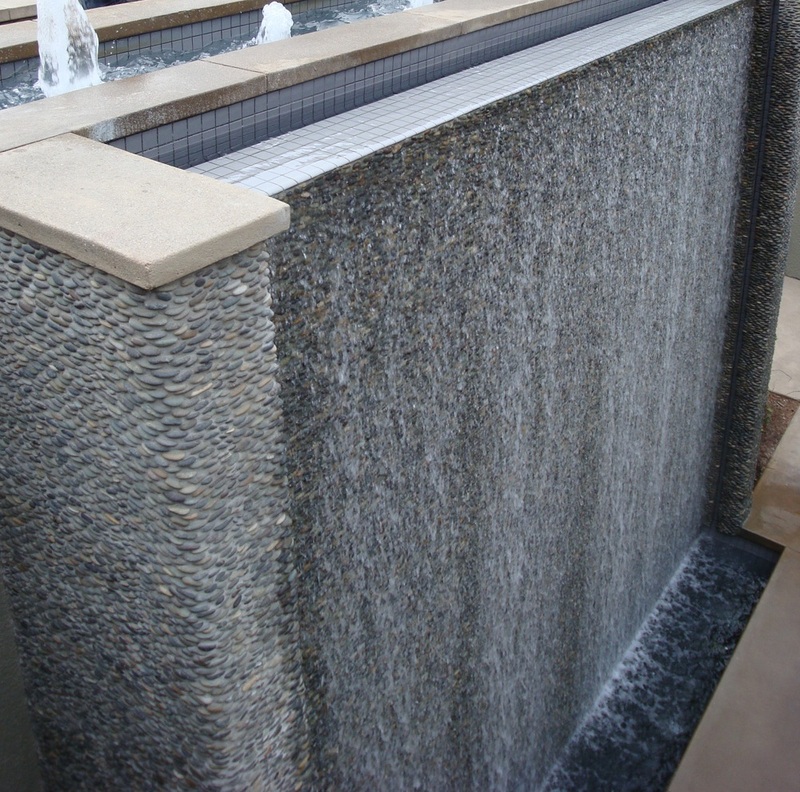 River rock can make your bathroom look nice, sleek, elegant and like real spa. 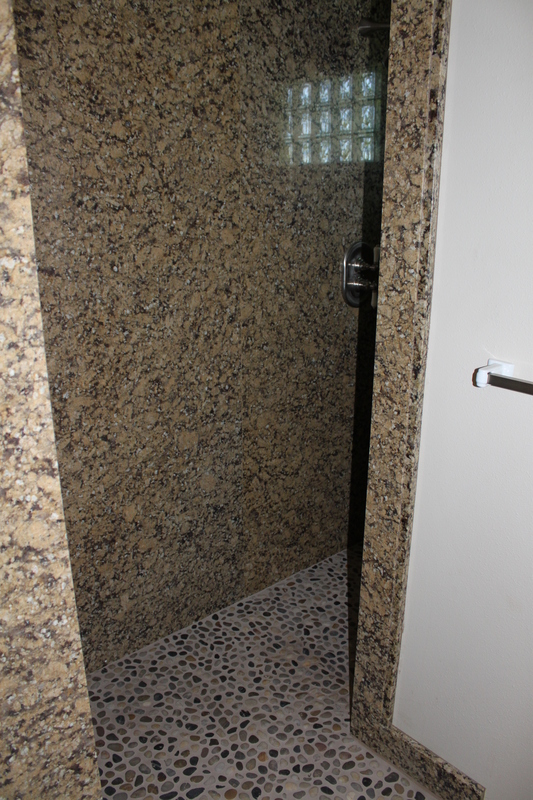 Would you like to have such an experience? 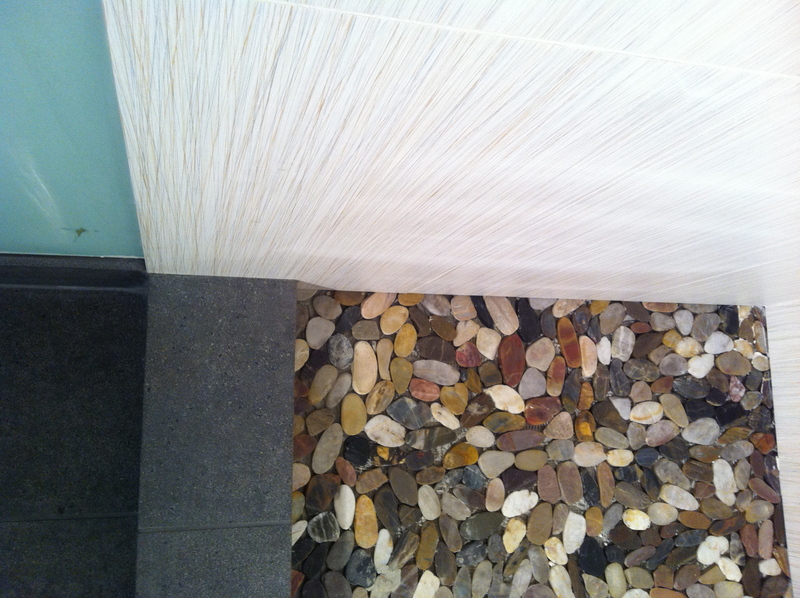 Where can I but the multicolored stacked rock that you show above?